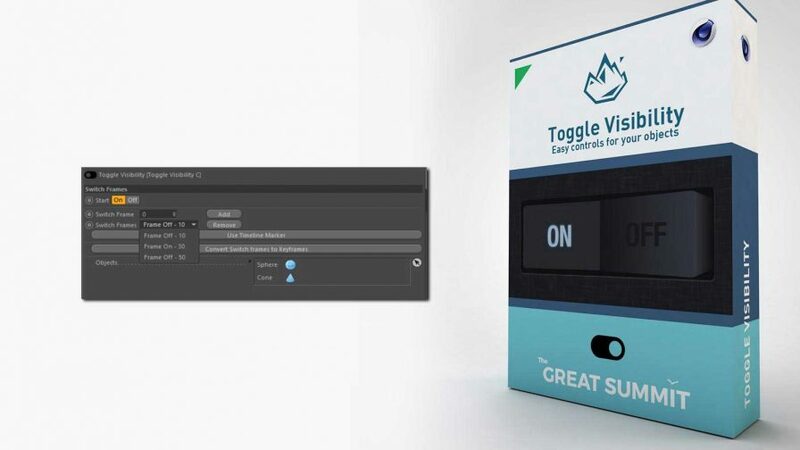 “Toggle Visibility” is a Cinema 4D Tag plugin tool that will speed up your modelling and render process. It gives you tools to set / toggle “Visible in Editor” and “Visible in Renderer” with just one mouse click. No need to specify two keyframes (one for Editor and one for Renderer) to put visibility On and two keyframes to put visibility Off. Together with the optimized user interface your workflow will benefit extremely. And you can do this for not just one object, but a list of objects if needed. If the host object visibility is toggle, the visibility of all objects in the In_Exclude list will follow! And when done, you can convert the Switch frames to real Keyframes. Supported for: R17 and higher (Mac and PC). Note:	For this plugin, license and support policy has been changed! 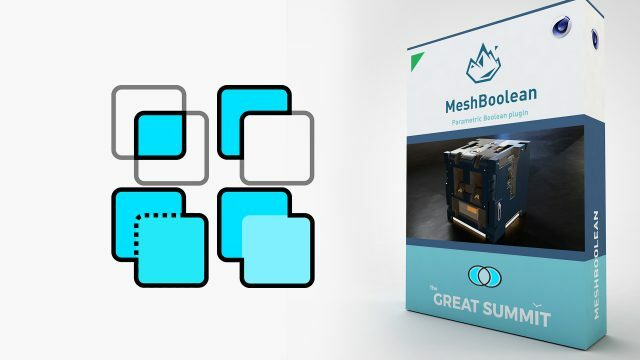 This plugin does not require a license file based on your Cinema 4d license. So, when you buy the plugin, you do not need to enter your Cinema 4d. Tag data will not be saved or loaded when opening or closing the scene. Visibility set by the Toggle Visibility Demo Tag will have no impact on rendering. The function “Convert Switch frame to Keyframes” is not supported.